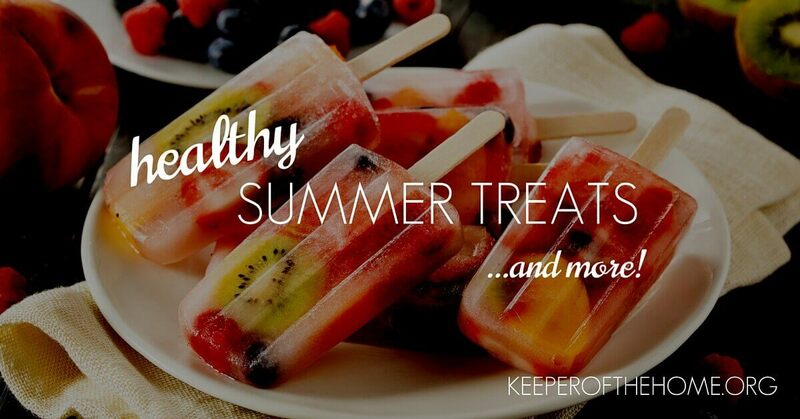 What would summer be without fresh fruit and cold, refreshing popsicles? As a young girl, some of my favorite memories of summer are those of the ice cream truck jingle coming through the neighborhood and running around the backyard with a popsicle melting and dripping all down my chin! Picking up fresh fruit like watermelons, strawberries and blueberries from a road side stand or farmers market and getting my fingers sticky with juice then washing them off outside with a water hose, because hey it was summer! 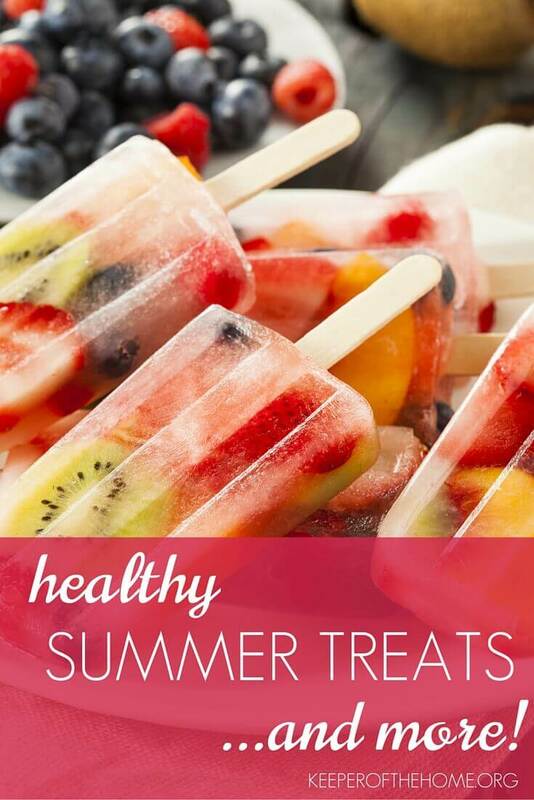 Nowadays I have my own kids running around barefoot with a water hose, but instead of popsicles or fruit, we put them together for healthier versions of the frozen summer treats. There are tons of recipes out there now for mashing and freezing fruits into molds, but I particularly wanted to share this ebook of 25 summer recipes that delivers all of that and more. Every one is super sweet, wonderfully refreshing, and healthy to boot! In addition, this collection includes notations of the recipes that are gluten, grain, and dairy free for those with allergies and intolerances which I know is important to a lot of our readers (me included!). 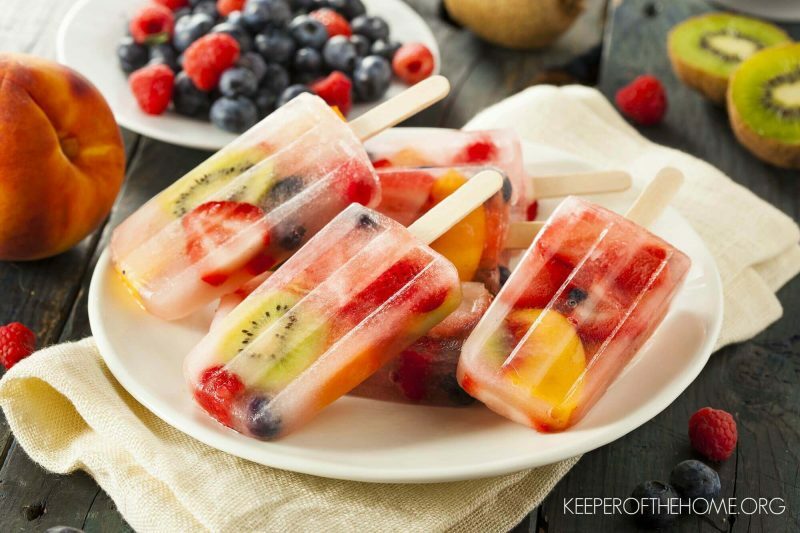 While visions of Coconut Cream Popsicles and Elderberry Juice Pops are dancing around in my head, I’m also drooling over Chocolate Covered Banana Pops, Orange Pineapple Green Smoothie and Homemade Cherry Limeade which I haven’t tried yet! What is this resource, you ask? 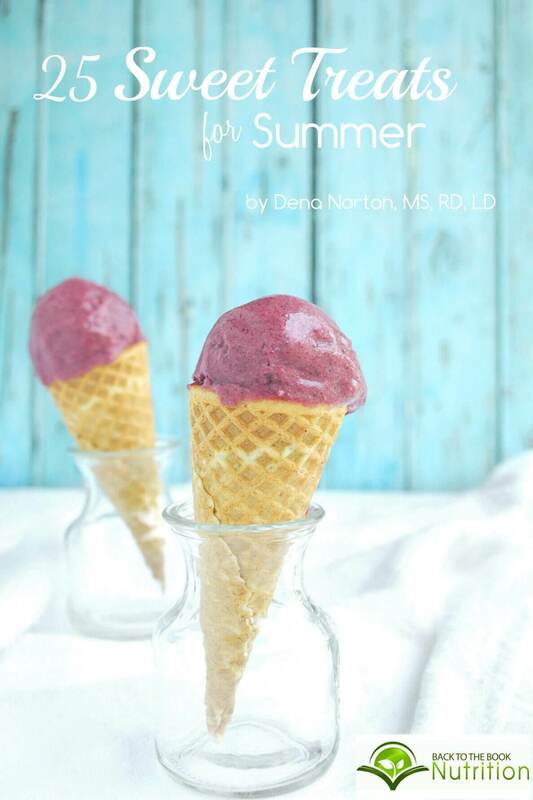 It’s an e-book that I’m loving: 25 Sweet Treats for Summer from Dena Norton at Back to the Book Nutrition. You get all of these recipe books, each filled with nutritious and yummy recipes to get you cooking for wellness, but you also get the REST of the bundle! Don’t miss out on this opportunity! It only lasts until Monday and then it is gone. Congrats on taking over Koth. I was wondering if you have plans to bring back the weekend round-up? It was my favorite part and allowed me to read blogs once a week but stay fairly connected and I miss that. Ilana, thanks for your comment! We have plans to integrated Weekend Links into our weekly email, so be sure that you’re subscribed so that you get them.